Home / Dark Balsamic Vinegar / Black Cherry Balsamic Vinegar. Aged gran balsamic of Modena infused with fruit. Sweet & balanced. Dark Cherry Artisan Vinegar is a local artisan specialty produced, aged and bottled on our single estate in the Italian province of Modena. 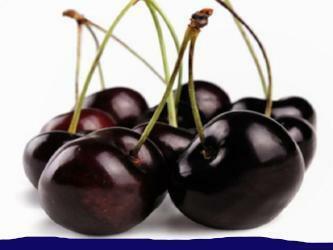 The ephemeral flavor of dark summer cherries infused with the natural sweetness of balsamic vinegar of Modena made from 100% trebbiano grapes. Aged in small chestnut barrels, the result is a luscious and savory taste experience. Lucini Dark Cherry Artisan Vinegar add a charming touch of summer sweetness to favorite recipes and emulsifies beautifully in vinaigrettes. The cherry notes are perfect for roasts, chicken and grilled salmon. Use to deglaze sauces or caramelize vegetables. Gluten free. Non GMO Project verified. nongmoproject.org. Product of Italy.